From the New York Times bestselling author of Chocolat comes a dark, psychological suspense tale in the tradition of Patricia Highsmith about a sociopathic young outcast at an antiquated prep school and the curmudgeonly Latin teacher who uncovers his dangerous secret. After thirty years at St. Oswald’s Grammar in North Yorkshire, England, Latin master Roy Straitley has seen all kinds of boys come and go. Each class has its own clowns, rebels, and underdogs—all who hold a special place in the old teacher’s heart. But every so often there’s a boy who doesn’t quite fit the mold. A troublemaker. A boy with darkness inside. With insolvency and academic failure looming, a new headmaster arrives at the venerable school, bringing with him new technology, sharp suits, and even girls to the dusty corridors. But while Straitley does his sardonic best to resist these steps toward the future, a shadow from his past begins to stir again. A boy who still haunts Straitley’s dreams twenty years later. A boy capable of terrible things. 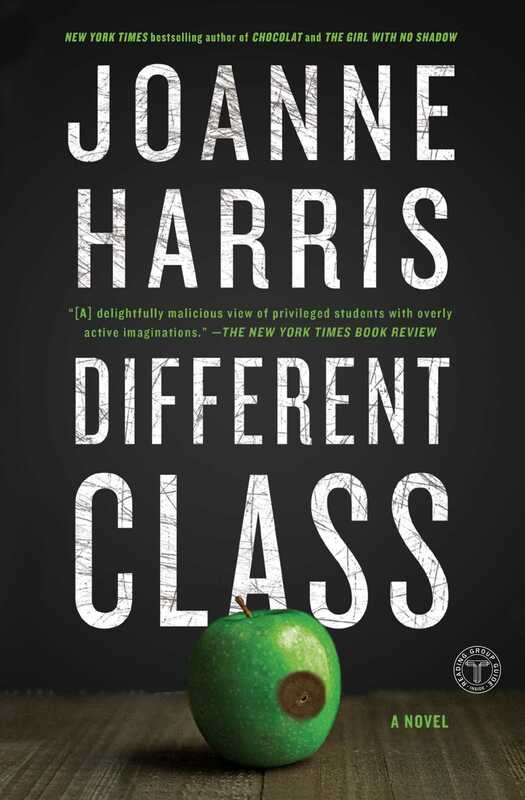 This reading group guide for Different Class includes an introduction, discussion questions, ideas for enhancing your book club, and a Q&A with author Joanne Harris. The suggested questions are intended to help your reading group find new and interesting angles and topics for your discussion. We hope that these ideas will enrich your conversation and increase your enjoyment of the book. From New York Times bestselling author Joanne Harris comes a dark and twisted tale of betrayal set at a prep school. At St. Oswald’s, a venerable boys’ school in the north of England, another tumultuous year has come to a close. The staff and boys at the school are trying to recover from the latest scandal to rock the institution, but unfortunately more upheaval is on the way. A new headmaster arrives and ushers in a wind of unwelcome changes. While old-guard Latin master Roy Straitley struggles to survive in this new system of e-mails and PowerPoint, a former student reenters his life, and with him, a twenty-year-old tale of intrigue, corruption and murder. . . .
1. How does the tone of the prologue set the stage for the rest of the novel? Discuss the relevance of the title, Different Class. Consider what the author is trying to say about class as it relates to St. Oswald’s and society. Find examples in the novel of how class is applied to the characters. 2. What point do you think the author is trying to make about the roles of religion and tradition on identity and sexuality? How are characters defined by their sexuality? Why do you suppose Harris chose to use pseudonyms for several of the main characters? How does the novel capture the feel of adolescence? Discuss the similarities and differences between the past and present students of St. Oswald’s. Are their experiences unique to the times? Explain. 3. What is Harry Clarke’s role in the novel? How does he become the “mythical beast” for several other characters? Why is he such an inspiration to so many of his students and friends? How responsible is Harry for what happens to him? What could he have done differently in the Charlie Nutter situation? 4. How does St. Oswald’s function as a character? Discuss the similarities between St. Oswald’s and its most staunch supporter, Straitley. How is Harrington a foil for Straitley, and, in many ways, St. Oswald’s? 5. The novel revolves around two sets of friends. Compare and contrast how both groups are defined. What are the similarities, the differences? Discuss what friendship means to the different characters in the novel. Lastly, what does friendship mean to you? 6. Evaluate how the author uses Latin quotes to divide the narrative. What is the importance of the quotes and how do they help shape the story? For instance, part three opens with “Qui desiderat pacem, praeparet bellum,” which translated means: If you want peace, prepare for war. Which characters are preparing for war and with whom? Explain why you agree or disagree with this statement. 7. Consider the ways in which the Laughing Gnome might function as a symbol in the novel. Why do you think Harry left the gnome to Straitley? Do you believe that Straitley uses the gift wisely? Why or why not? What would you have done if you were in his shoes? 8. Why do you think the author chose not to identify who was writing the journal until the end of the novel? Would knowing his identity from the start change your view of him and his actions? Why or why not? What do you make of the narrator’s capitalization of his condition? What do you think his condition is? 9. Guilt is a major theme throughout the novel. Evaluate the role of guilt in the lives of the characters. What are the characters guilty of? How do the characters deal with their guilt? Does it compel them to try and right past wrongs, or make them more culpable? Is the guilt justifiable? Explain. 10. Many know the Christmas carol Good King Wenceslas, but most aren’t aware that the song is based on a real-life figure from history. Saint Wenceslaus was a martyr and is the patron saint of Bohemia. On page 399, Straitley says, “And now, Charlie Nutter, whose middle name—Wenceslas—he managed to hide so completely from both his peers and his masters during his time at St. Oswald’s, and whose ghost still appears as that thin, nervous boy I overlooked so easily . . .” Discuss the significance of Charlie’s middle name. Find examples in the novel of Charlie fulfilling the role of a martyr. 11. On page 395, Eric asks Straitley, “How well do we really know our friends?” Discuss the significance of this conversation and the affect it has on their friendship going forward. What do you think of Eric and his actions? 12. Evaluate the ending of the book. Were you satisfied with what happened to the characters and how the story ended? If you could write the ending, what might you have done differently? 1. The author tells us what Ziggy was feeling the first time he heard Pink Floyd: “And all the songs titles were named after animals; “Pigs”; “Sheep”; “Dogs.” That one was my favorite. “Dogs.” I felt like someone had opened up a dirty window in my mind” (page 26)> Think back to the first time you heard your favorite song and discuss how that experience made you feel. How were you introduced to the song? What was the name of the song? How many times did you replay the song? When was the last time you heard the song? How have your feelings changed since that first time? 2. Grab your journal, or, if you don’t have one, take a few sheets of paper and write a letter to your teenage self. What lessons would you share? What advice would you give? 3. Discuss your favorite teacher. What do you remember most about that teacher? What subject did they teach? How did they inspire you? 4. 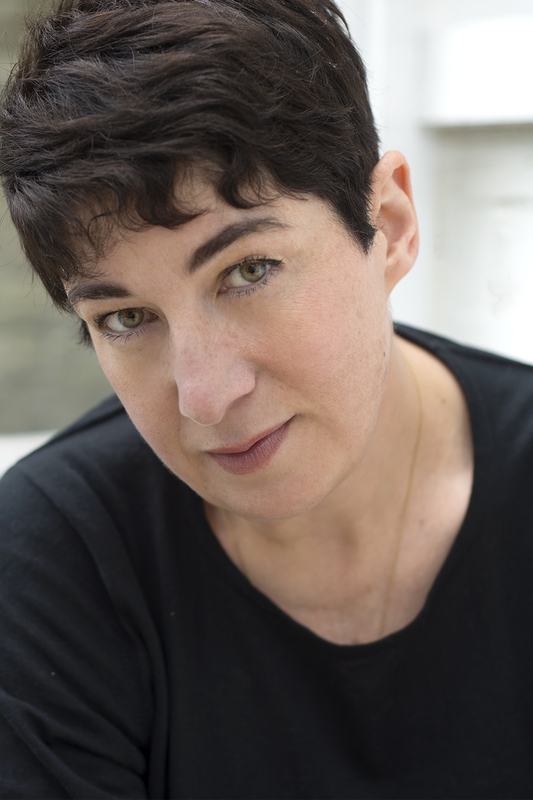 Joanne Harris is a versatile novelist who has written acclaimed novels in diverse genres. Visit the author’s website (http://www.joanne-harris.co.uk/books/) and select another title in a different genre to read. Compare and contrast which themes the book has in common with Different Class. Discuss the writing style. Which do you prefer? A collection of illustrated stories for adults, called Honeycomb, and a sequel to my Norse myth–based fantasy novel, The Gospel of Loki. What was the most surprising thing you learned about yourself while writing Different Class? Two things. One: how very close I still feel to the teacher I was fifteen years ago; and two: how much of my high school Latin I still remember. Let’s talk movies. You’ve already had one novel, Chocolat, made into an Oscar-nominated film, starring Juliette Binoche and Johnny Deep. If you could cast Different Class, who would play the lead roles? Roger Allam as Straitley; Jude Law as Harrington; Christina Hendricks as Ms. Buckfast. You have written acclaimed novels in several different genres. Which genre do you enjoy writing the most? Which is the easiest? Which is the hardest? I don’t think of genres when I’m writing. Instead, I think of my books as explorations of a number of common themes, viewed in a number of different ways. Some characters and themes are darker, and therefore more challenging to write than others, but generally I find that all my books have their tricky parts—especially around page 150, where I often have a period of uncertainty. Even now, after so many books, I never take things for granted. You were a teacher for fifteen years and you dedicated the novel to your Brodie Boys. How much does your teaching experience influence your writing? Inevitably, a lot of what I experienced as a teacher reappeared in various forms in my books. Schools are fascinating communities, in which almost anything is possible. My teaching career saw every possible permutation of tragedy, farce, and what lies in between. . . .
I’m rereading Daniel Keyes’ Flowers for Algernon, in preparation for writing the introduction to the new reissue of the novel next year. Are you planning on returning to the halls of St. Oswald’s and to Roy Straitley? I think so, yes. I’m very fond of Roy, and I think he has a few stories left in him yet. . . .
You’ve been quoted as saying one of your hobbies is the “quiet subversion of the system.” What do you mean by that? How has your writing allowed you to accomplish this? I think all good writing is subversive. Stories should make people think; should provoke; should challenge ideas and assumptions. Stories are safe spaces to explore the things that make us the most uncomfortable; places in which to face our fears (and sometimes overcome them). Music plays a significant role in Different Class. How important is music in your life? Which genre(s) of music do you listen to? Why did you decide to feature David Bowie’s music so prominently throughout the novel? I’ve been a musician all my life. I still play in a band, and though I don’t actually write to music, I often use music to set the tone of the book I’m writing. This time, I used the Pulp album Different Class, which is appropriate on many levels, but the musical references within the story (David Bowie, Pink Floyd, etc.) are more appropriate to the era I was writing about (as well as reflecting some of my own musical tastes). What inspired your choices of the Latin quotes that open each section? I chose what I thought was most appropriate, as well as what Straitley would have recommended. Joanne Harris (MBE) was born in Barnsley in 1964 to a French mother and an English father. She studied Modern and Mediaeval Languages at Cambridge and was a teacher for fifteen years, during which time she published three novels, including Chocolat. Her books are now published in over fifty countries and have won a number of British and international awards. She is an honorary Fellow of St Catharine’s College, Cambridge, and has been a judge for the Whitbread Prize, the Orange Prize, the Desmond Elliott Prize, and the Royal Society Winton Prize for Science. She works from a shed in her garden and lives with her husband and daughter in a little wood in Yorkshire. [A] delightfully malicious view of privileged students with overly active imaginations. Mr. Chips meets Gordon Gekko in Harris' novel of academe….Harris expertly manipulates reader expectations as to the identities of St. Oswald's true villains, past and present. A gripping fictional exposé of a tempest no teapot can contain. How well do we know the people around us? What façade do they show to the world that hides their deepest thoughts and fears?....Harris’s sharp-eyed observations of human behavior are on the mark. A thumping good showdown….Harris delivers. Harris magnificently manages every minute thread of the story, and even makes us laugh along the way . . . exquisitely sinister. . . Part black comedy, part thriller, and totally enjoyable. Her real metier is psychological suspense, and her accomplished new book, Different Class, is a prime example of her skills in this area . . . Crime novel or literary novel? Categories really don’t matter; readers will find themselves comprehensively gripped. A magnificently plotted and twisty journey to the heart of a 24-year-old crime...darkly humorous...constantly wrongfoots and misdirects...up to a satisfyingly eccentric conclusion. Slowly, Harris reveals tiny clues, withholding full explanations until the startling denouement. Classy writing, sensitive and moving. Harris pulls off an impeccable thriller denouement...consistently entertaining. Deftly orchestrated and beautifully written tale of abuse, loyalty and regret.